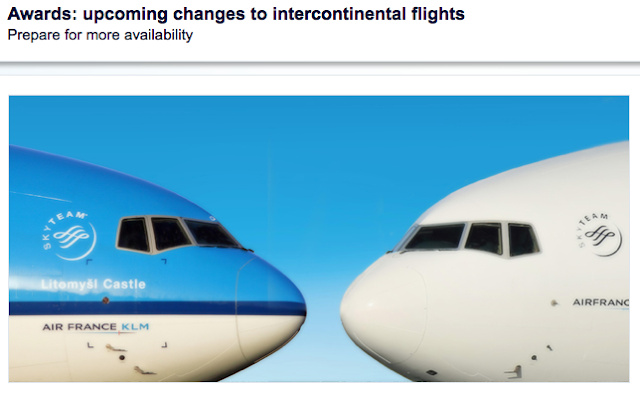 In what can be seen as a great move for those who fly Transatlantic in Economy Class but not a great move for those in Premium Economy or Business Class Cabins, Air France KLM is making changes to their Intercontinental award tickets that will come into effect sometime in June. - Business Class moves to 62,500 from 50,000. The true winner in these changes are Economy Class redemptions as the mileage amount required has not changed and in fact have become cheaper with the new 50EUR each way fuel surcharge. What are your thoughts on the changes? Chime in below!